Winter is fast approaching, so I've been searching the web for the 10 best websites I could find for kids. Below is a list of some seriously good websites that I know your kids are going to love. 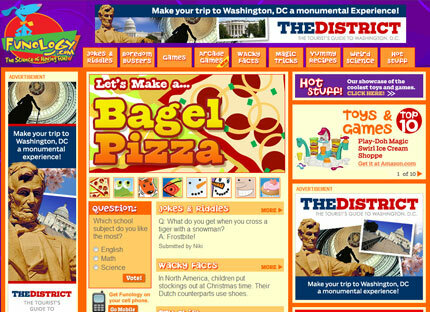 Children simply need to click on the image of their choice to visit the site. 1. AGKidZone.com offers games, videos and music clips, and fun activities like coloring pages featuring Strawberry Shortcake, the Care Bears and more. The videos are great, as are the colouring pages. I highly recommend this website. We especially love Strawberry Shortcake and the Care Bear colouring pages...so cute! 2. 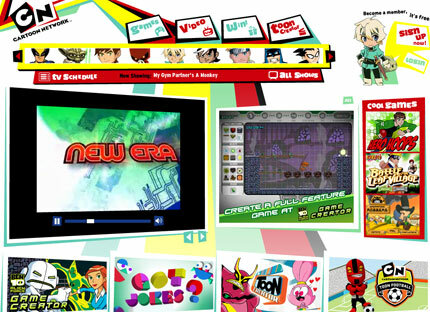 Cartoon Network has games, videos and competitions featuring the likes of Ben 10, Deltora Quest, Super Hero Squad, Star War The Clone Wars and loads more. This is a huge, fun website. 3. Moshi Monsters is a free online game for kids, where they may adopt a monster and look after it. Kids care for their monster by solving puzzle games, which earn their monster virtual rewards called Rox. Kids can spend Rox on virtual items like food, furniture and other treats and toys for their monster. Over time their monster will increase in level, be able to visit new locations in Monstro City, and earn all kinds of in-game rewards for playing. 4. Kids Science Challenge is a fantastic, educational website. We played their games and found them REALLY, REALLY good. Play the "Brownie Caper" (under Detective Science) and the "What in the World?" 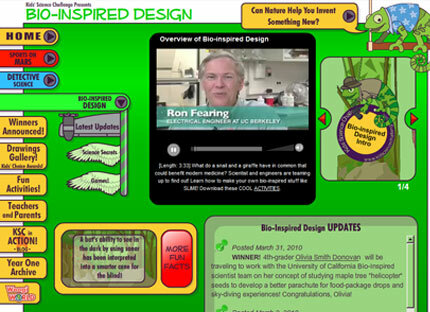 (under Bio-Inspired Design)...educational without the bore factor. Cool website to get kids involved in science. 5. Barbie.com is huge. If you have a child that likes Barbie then they'll love Barbie's digital world. Play games, print coloring pages, watch videos. There's cartainly plenty to do on this website as you'd expect from a major brand. Barbie Girls is the "virtual world" -create an online character, design your own room, play fun games, chat with your friends. 6. Club Penguin offers colouring pictures, art and craft projects, recipes and more, just click on the "Fun Stuff" link on their homepage. Club Penguin is also has a virtual world which is VERY popular for ages 6+. 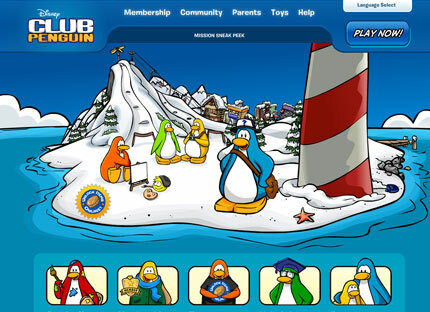 Players create a penguin and explore the snow-covered island of Club Penguin, engaging in a variety of fun and imaginative activities. Players can chat, send greeting cards, wave or dance. Users can also attend parties and special events, take on a role in the latest stage play, adopt and care for a cute and cuddly puffle pet, and play games to earn virtual coins which can be used to design the perfect igloo and create hundreds of outfits for their penguin. Designed by Disney this website is safe. Every message is filtered to allow only pre-approved words and phrases, and block attempts to communicate a phone number or other personally identifiable information. They also employ highly trained, on-site staff to monitor activity and chat. 7. 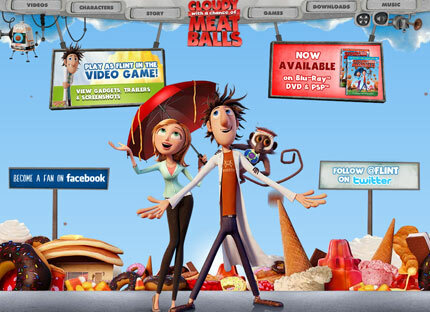 Cloudy with a Chance of Meat Balls website has some fun online games and is a joy to explore. Make sure you check out the 3D Food Fight. Delicious fun for all with a squeegee to clean your screen when it gets too dirty. The Weekly Forecast Match Game has the potential to keep kids busy for quite a while too. 8. Pauly's Playhouse has lots of simple games that your younger children will enjoy. 9. Funology is a large website. There's terrible jokes that your kids will love, recipes, wacky science (fun science experiments), and wide range of games. 10. I saved the best for last! How To Train Your Dragon is a hugely successful of movie. The website is equally great. 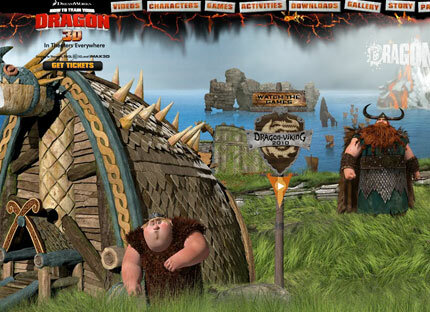 There's 7 unique online games and under activities there is a wealth of fun. Colouring pictures, spot the differences, word searches, mazes, connect the dots and much more. Outstanding website, even if your children have not yet seen the movie. Melissa Evans lives in Sunny Nelson, New Zealand. She divides her time between being Creative Director at SunRoom Web Design Nelson, writing for KiwiWise and being a Mum to Sophia & Nicky. In her spare time she loves to travel, illustrate and read. Your Name: We require a name and valid email address for all comments by non-members. KiwiWise takes privacy seriously so will never publish or share your email address. Your Rating: Please choose a rating 10 - Perfection! 9 - Amazing! 8 - Great! 7 - Really Good 6 - Good 5 - OK 4 - Not so good 3 - Pretty Bad 2 - Terrible 1 - Absolute Rubbish! I have just heard about another New Zealand owned and operated website called DinoSawUs (www.dinosawus.com) that your kids might like. DinoSawUs features games, adventures, costumes and education for kids aged 5-11 all wrapped up in one fun-filled virtual dinosaur world. There's colouring pictures and nice craft projects. What about New Zealand websites for kids? ...are there any?